President Yahya Jammeh, who has ruled The Gambia for 22 years, has conceded defeat to opposition leader Adama Barrow, the chairman of the independent electoral commission said Friday. “It’s really unique that someone who has been ruling this country for so long has accepted defeat,” Alieu Momar Njie told reporters ahead of the release of the results of Thursday’s presidential election. 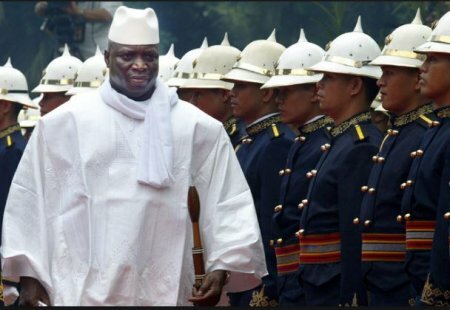 Gambian state television told AFP that the 51-year-old head of state, who seized power in a coup in 1994, would make a statement later in the day to congratulate Barrow. Jammeh was running for a fifth term with his Alliance for Patriotic Reorientation and Construction (APRC), while Barrow ran for eight political groups who united for the first time to field a single candidate.